Top university places are massively skewed in favour of a handful of academically-driven private schools. That’s the finding of the Access to Advantage report, compiled by the Sutton Trust. The headline-drawing figure from the 50-page document was that a mere eight schools (including Eton, Westminster and St Paul’s) accounted for the same number of Oxbridge acceptances as another 3,000 schools and colleges. Pupils from independent schools, where average fees now top £17,000 per year, are seven times more likely to gain admission to Oxford or Cambridge than students from non-selective state schools and more than twice as likely to attend a Russell Group university. 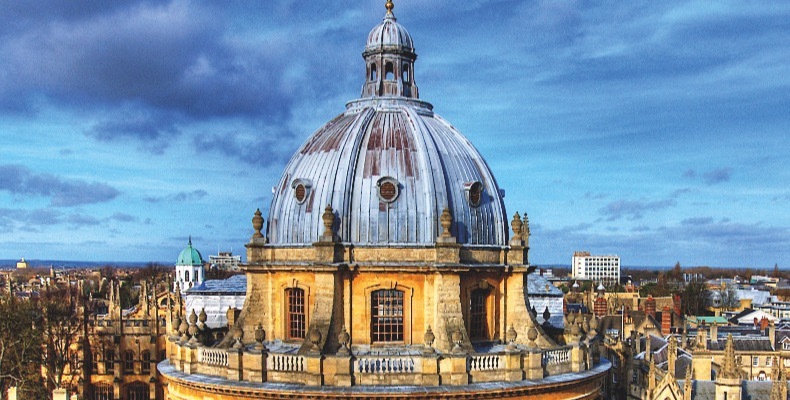 Geographical disparities within the state sector are also a factor, with the report seeing a bias towards the South and South East of England in Oxbridge applicants, while a number of areas including Lincolnshire, Salford and Southampton saw two or fewer places awarded to those universities. Sir Peter Lampl, founder of the Sutton Trust and chairman of the Education Endowment Foundation, said: “Getting university access right is as important as ever when it comes to ensuring that all young people have an equal opportunity to succeed. However, students accepted from all school types to Oxbridge had similar results on average, and the results of students accepted to Russell Group universities were similar across school types (equivalent to AAA and AAB on average). Pupils from independent and selective schools had the highest results; those from comprehensives and FE colleges the lowest. Bradshaw points out that Russell Group universities spend over £270m annually on initiatives to widen access and support success for disadvantaged students, in addition to running mentoring schemes, summer schools, campus visits and admissions training for teachers. Nearly 8 out of 10 young people at Russell Group universities studying for a full-time first degree now come from a state school background. The latest report builds on previous research from the Sutton Trust. Degrees of Success (2011) found that students in state comprehensive schools were considerably less likely to gain a place at a top institution than students in independent or grammar schools. Additionally, students in state schools in certain parts of the country, for example Buckinghamshire, Reading or Barnet, were considerably more likely to gain a place at a top university, for example at Oxford or Cambridge, than their counterparts in other parts of the country, including Knowsley, Thurrock or Tower Hamlets. Access to Advantage tracks a trend that shows while the number of disadvantaged students going on to higher education has increased, the gap in participation rates between the most and the least well-off young people remains the same as it was in 2007. At top universities, the gap has also stayed static. During that period, tuition fees increased from a maximum of £3,290 to £9,000 per year in 2012. Virtually every institution now charges fees at the maximum level of £9,250 per year. The report recommends greater use of contextual data in the admissions process, more transparency from universities (particularly the use of automated contextual data checkers), and guaranteed professional careers advice for all students. It also suggests guidance should start sooner and more attention should be paid to geographical outreach, including reassurance for prospective students and their families about travelling substantial distances to university. It concluded: “Access to higher education is improving, and there is now a high level of access to HE overall for students who apply. However, gaps remain persistent, especially at the most highly regarded institutions. More needs to be done to truly open up the opportunities that education at these institutions provide to all young people with talent, regardless of their socio-economic background or where in the county they come from.